In the College Football Semi-Playoffs, No. 1 Alabama will play No. 4 Washington in the Peach Bowl in Atlanta while No. 2 Clemson matches up against No. 3 Ohio State in the Fiesta Bowl in Glendale AZ on New Year’s Eve at 3 pm and 7 pm respectively. Duff thinks Alabama and Washington has potential to be particularly interesting to watch. The winners of those games will clash in the College Football Playoff National Championship Game January 9th in Tampa FL. Alabama Offensive Coordinator Lane Kiffin announced he will coach in that game before leaving to become the head coach at Florida Atlantic. “FAU wasn’t exactly his first choice. He wanted a big-time coaching job, but I think there’s a ceiling on how far Kiffin can go because there are just too many questions about his character.” Steve Sarkisian, also an ex-USC coach, was hired by Nick Saban to lead the offense in 2017. As the teams play in and prepare for bowl games over the next several days, Duff isn’t one of those people who think there are too many bowl games. But then again, why would anyone who loves the sport want to see fewer games? 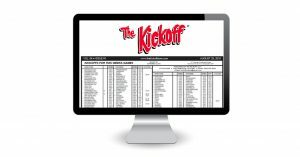 In Issue 16 of The Kickoff, we listed all of the bowls dates and start times, who is playing, in which cities, and on which TV networks, along with The Kickoff’s Power Ratings comparisons for each of the matchups. Being able to view their schedules and results side-by-side certainly makes it easier to measure expectations. The Kickoff’s Post Bowl/Season Wrap Up Issue will come out January 10, 2017 – one day after Alabama, Clemson, Ohio State, or Washington grabs the glory of a national championship victory. 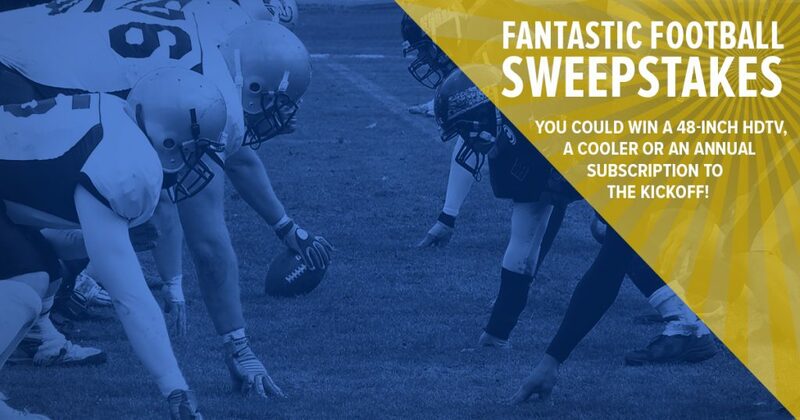 Learn more about The Kickoff college football newsletter. The coaching carousel is accelerating in college football. LSU fired Les Miles in week four after starting the season 2-2, including a loss to an Auburn team that began the year 1-2 but has since prospered. Interim coach Ed Orgeron has helped the Tigers regain their confidence with wins, including a 38-21 win against Ole Miss, but the real test is Nov. 5th against Nick Saban and Alabama. Notre Dame Athletic Director Jack Swarbrick expressed “complete confidence” in Brian Kelly despite the Fighting Irish being 2-5 as they go into Saturday’s game against Miami. The Oregon Ducks are also floundering at 2-5 after a double overtime loss at California, but will Mark Helfrich have had enough recent success to avoid the hot seat after losing five in a row this season? Duff doesn’t think so if they continue to lose. In addition to Miles at LSU, Florida International fired Ron Turner after an 0-4 start and Darrell Hazell got canned at Purdue. Fresno State fired Tim DeRuyter after a 1-7 start to the season and a six-game losing streak. Going forward, besides Strong and Helfrich, Steve Addazio at Boston College (3-4), Georgia Tech’s (4-3) Paul Johnson and UCLA’s (3-5) Jim Morrow may all want to dust off their resumes. Duff said the injury to UCLA QB Josh Rosen has put the Bruins on the back foot. No one is questioning the security of Urban Meyer’s job at Ohio State despite the Buckeyes falling to Penn State and tumbling from #2 to #6 in the AP Top 25 and #8 in the Coaches Poll. They fell from #2 to #9 on the Kickoff Top 25. On the other side of football fortunes, Duff said #10 West Virginia and unranked Syracuse are trending up on the Kickoff Thermostat. “The Orange have their first back-to-back wins of the season (against then #17 Virginia Tech and Boston College), with one major upset while the undefeated Mountaineers look like a Big 12 Title contender.” Syracuse faces Clemson on Nov. 5th while West Virginia plays Oklahoma State this weekend. Like everyone else, Duff’s eyes will be on these games and the huge contests ahead this week. The Kickoff’s Games of the Week are #3 Clemson at #12 Florida State, #14 Florida vs Georgia, and #7 Nebraska at #11 Wisconsin. College football begins anew as THE KICKOFF prepares to publish our first issue of the new season on Monday, August 29. Those of you who have subscribed to our email/PDF version can expect to see it in your inbox as you start your week and begin to make your picks in your office pool or fantasy football league for the Sept. 3rd matchups. This is a Monday morning ritual you’ll repeat throughout the fall. If you have not resubscribed yet, visit http://bit.ly/kickoffBOGO to get an additional issue to give a friend for FREE. Don’t wait, the promotion ends Sept. 1st! You can also give us a call at 423-267-0953. Defending National Champions Alabama sit at the top of the new AP Top 25 Poll just released. Certainly, Nick Saban always has enough playmakers to contend for the title in any given year. The Top 4 (Bama, Clemson, Oklahoma & Florida State) are identical in the Coaches’ Poll. The AP thinks LSU will have a better year than Ohio State, vice versa for the Coaches’ Poll. Both polls have Michigan, Stanford, Tennessee, Notre Dame, Ole Miss, Michigan State, TCU, Washington, Houston, UCLA, Iowa, Georgia, Louisville, Southern Cal, Oklahoma State, North Carolina, Baylor, Oregon, and Florida in their Top 25 rankings. Other teams receiving votes in the AP Poll, but failing to crack the Top 25, include Miami, Texas A&M, Utah, Washington St., Boise St., San Diego St., Wisconsin, Auburn, Pittsburgh, Arkansas, Texas, Nebraska, Navy, Northwestern, W. Kentucky, South Florida, and Toledo. Earlier today, KICKOFF Editor Tommy Duff revealed our Top 25 on WAAK-LP K94.7 radio in Boynton/Ringgold, Ga., with talk show host David Jenkins. The top of the rankings match the other polls, as would be expected. Duff said the Sept. 3 game between Oklahoma and Houston will tell fans a lot about whether the Cougars deserve to be ranked #13. Georgia is ranked #14, he said, because it has potential but also some question marks, including how Kirby Smart will settle in as a head coach in Athens. Duff said #36 Auburn did not crack the Top 25 because of injuries, the departure of running backs and uncertainty about how QB Sean White will do when many expected John Franklin to get the starting job and “be a superstar”. The Florida Gators barely failed to crack the Top 25, coming in at 26; Duff said their first real test will be a Tennessee team that has to win on Sept. 24th with the Volunteers preseason ranked as high as #6. Butch Jones may feel his seat starting to get warm if the Gators get a 12th straight win in the series. Which teams do you think are over-rated? Will Bama repeat as National Champs? 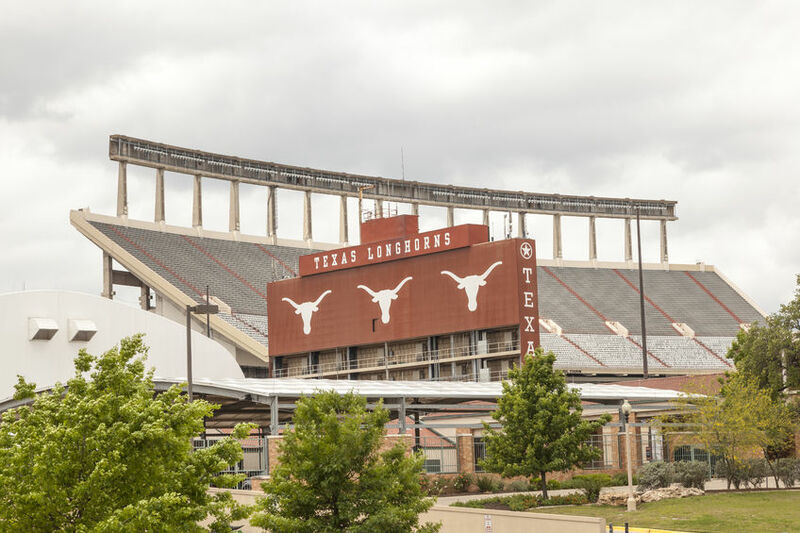 Which schools will come out of nowhere to shock us this fall? Which games have the most potential to shake things up early in the Top 25? 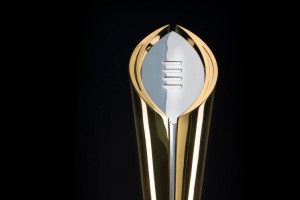 Which four will face off in the College Football Playoff? Now’s your chance to put your choices in writing so you can brag, “Pfffft. I called it back in August…” THE KICKOFF is certainly locking in our Preseason Prognostications in Monday’s first issue. We’ve been doing this since 1951, so you might want to listen up. Our weekly KICKOFF Thermostat tells you which teams are trending up or down and why. In contrast to the other polls, THE KICKOFF releases our Preseason Top 50. We typically start the season by comparing our ranking to the Vegas Oddsmakers’ ranking and the Coaches’ ranking for the previous season. We preview Games of the Week and assign our proprietary KICKOFF Power Rating to the teams so you have a quantifiable way of comparing them when making your weekly picks. We’ll list the schedules of FBS and select FCS teams so you have a handy reference of who plays when and where. We tell you who we think are going to be the Breakout Players to watch in 2016. We look back in history to the rankings of the past and entertain you with weekly trivia questions that test your knowledge of the sport. We want to have an ongoing conversation with you on Twitter throughout the season so we can talk about college football. Be sure to follow us at https://twitter.com/TheKickoffZone !